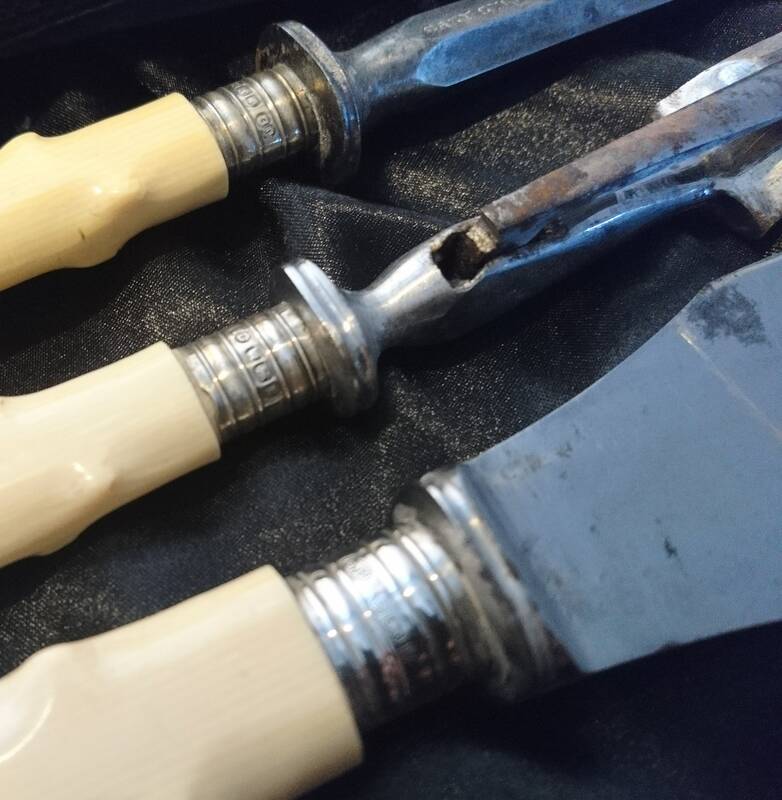 A lovely antique carvey set, boxed Sheffield steel with faux bone handles and sterling silver ferrules. 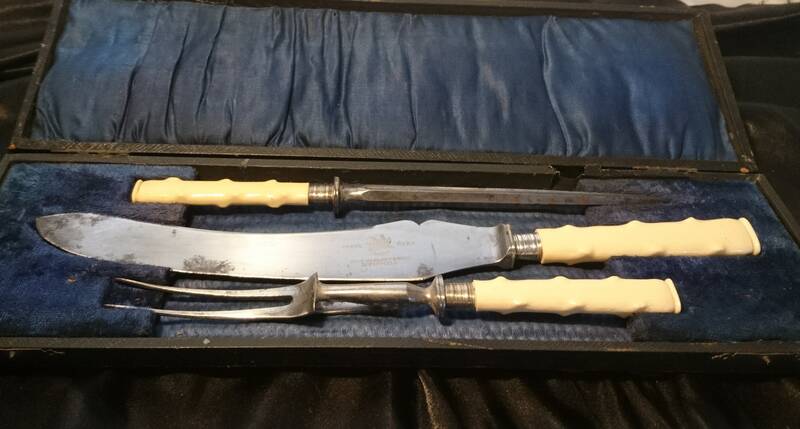 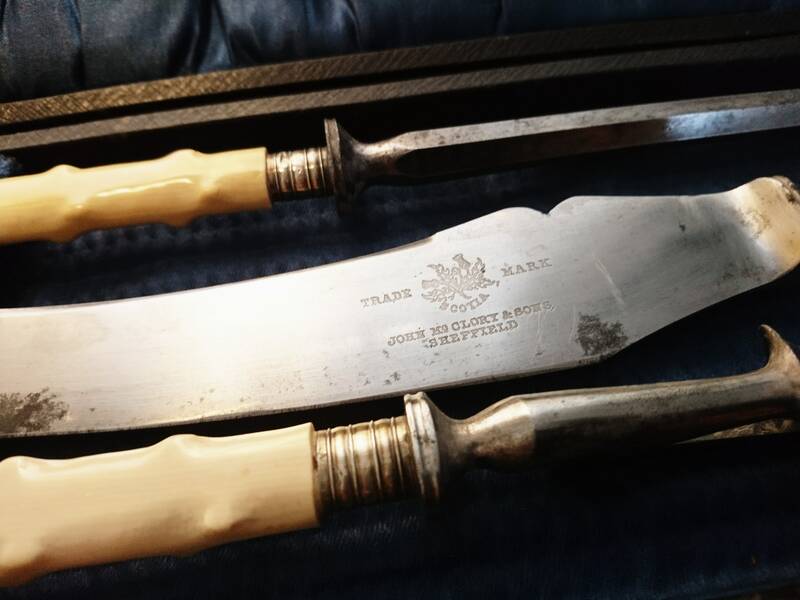 This lovely set comprises of a knife, knife sharpener and fork, the knife is etched with a makers mark and all pieces are marked, the set is by John Mc Glory a renowned manufacturer of Sheffield steel, the ferrules are each individually hallmarked. 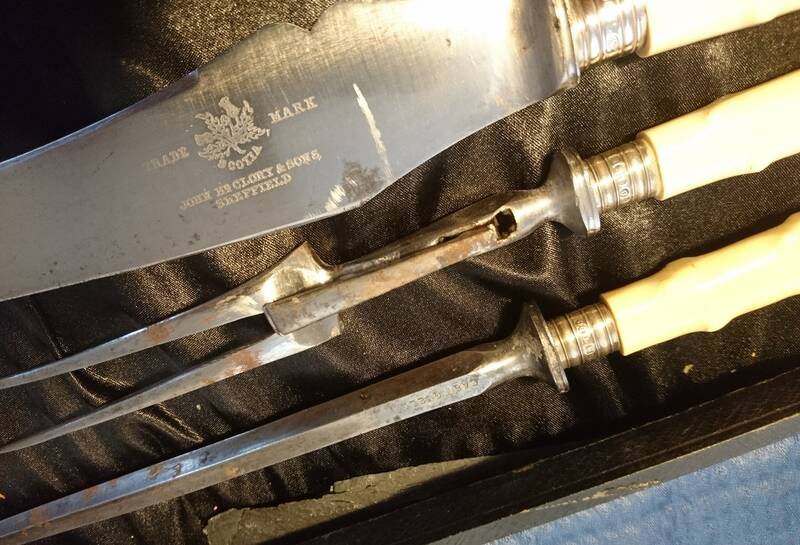 The Hallmarks are for Sheffield assay, John Biggin (maker) and the year 1915. 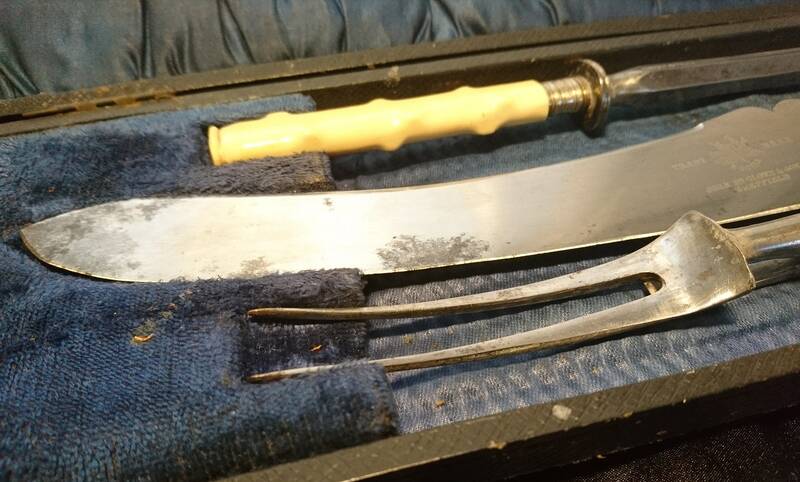 The entire set shows some wear and rusting, there are some areas of tarnish on the blades, this may be able to be polished away in the right hands as with the rust but I could not say for sure so it is sold as is. 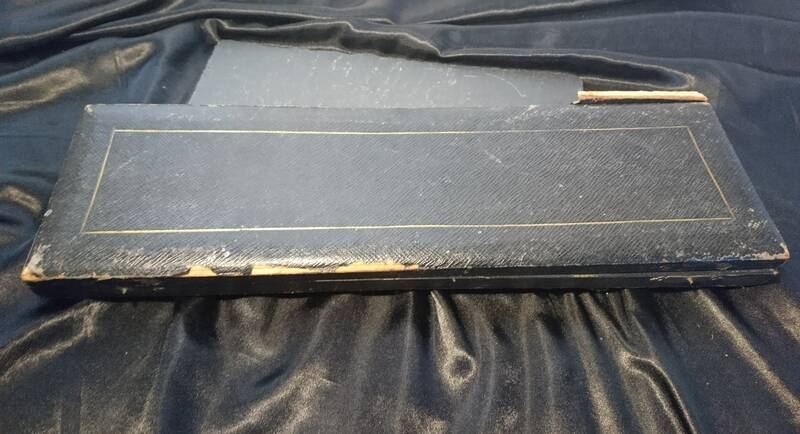 The box shows some wear and damage, one hinge is detached but the box still closes. 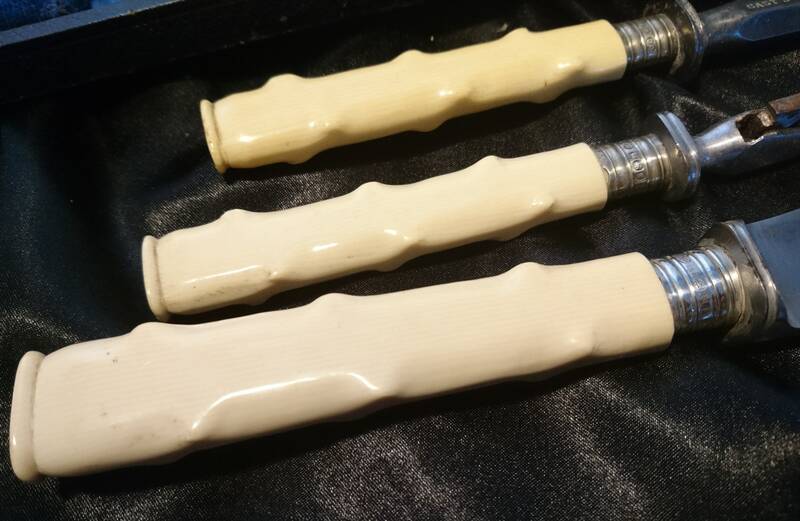 They have cream early plastic handles, coloured to resemble bone but not actually made from bone, they are very realistic and have been fashioned in an antler type shape. 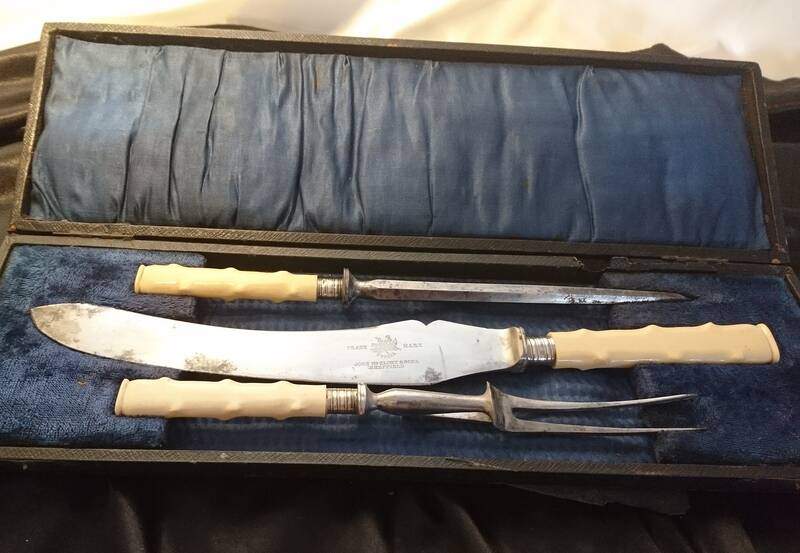 It is over a hundred years old and would still make a fantastic display piece or obviously a functional piece should it be possible to clean up.